The degree of Homeopathic Medicine and Surgery can be completed in 4 years. This is an Undergraduate course part of an alternative holistic medical field. Homeopathy can be Pronounced as a homoeopathy too. We can write homeopathic as Homoeopathic. You can learn What is homeopathy from Homeopathicology Blog known as Homeopathic Guide. If you want to do a Degree in Homeopathic Medicine and Surgery. Then there are two Homeopathic Degree Courses options that you can go with. After the completion of education either you have completed the DHMS or BHMS degree. Then you can start practice as private Homeopathic Practitioner, open Homeopathic Medical Store or Clinic as Homeopathic Health Care Center. You can get a Government job in a hospital as Homoeopathic Doctor or Homeo Practitioner. There are many Alternative Medicine Schools and Homeopathic Colleges, which helps you to get this professional Homeopathic Doctor Degree. School of Natural Medicines are Homeopathic Medicine Schools & Homeopathic Colleges offer other Alternative Medicine Programs too. Now a Days, Homoeopathy education & Homeopathic medicine training is very important after taking the Homeopathic Medicine Degree from Alternative medicine college. Homeopathy is a type of holistic alternative medicines but with a different approach. Homeopathic works on the principle of LIKE CURE LIKE. It helps our immune system and focuses on healing the cause to cure Symptoms. 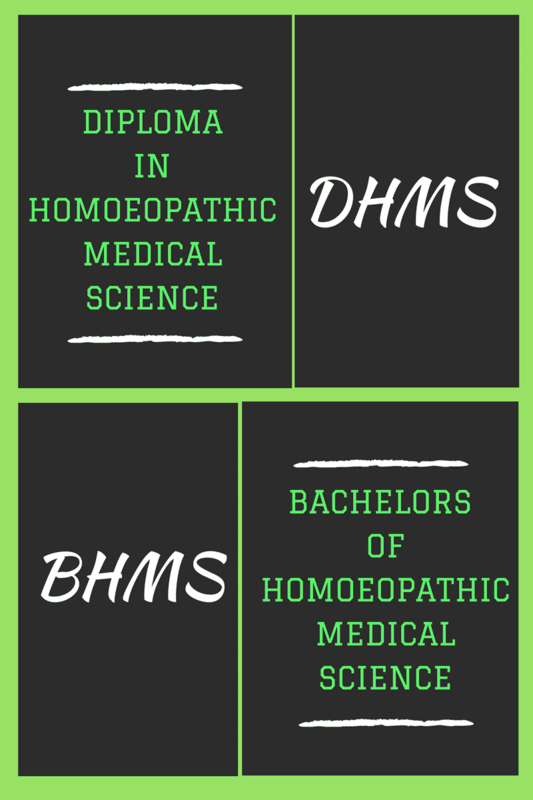 For the DHMS professional Homeopathic Study, Following curriculum is taught in Homeopathic Colleges or Universities. There is a lot of different views about the salary of homeopathic practitioners. It varies from region to region. If you want to start your homeopathic medical doctor, then you need to keep in mind Homeopathic Physician salary. Like, in Asian countries homeopathic doctors salary is around about the salary of a 16-17 scale government officer. There are some countries in the world where Homeopathic treatment is not being used. In such countries, the number of jobs is equal to zero similarly the wages too. But in developed countries where homeopathy is recognized too, A lot of wages paid to homeopathic practitioners. In the USA, the average yearly income of Homeopathic practitioners or homeopathic doctors salary is around $80,000.